A new store in downtown McKinney is selling more than imported merchandise -- it's also marketing a philosophy. Fair and Square Imports, owned by husband and wife Kate and Andrew Jones, only sells Fair Trade products. "Everything in the store is sweatshop-free, no child labor and environmentally friendly," Andrew Jones said. "We definitely have a different mindset in the way we do business." The Joneses said their shop is the only all-Fair Trade store of its kind in the North Dallas area. Similar stores exist in Canton and Austin. Fair and Square Imports offers products such as anything from chocolate and coffee to jewelry, handbags and children's clothing, from 30 different nations. It works with partner organizations and nonprofits to search the world for locally made, internationally marketable artisan products. All of its merchandise is handcrafted by men and women making livable wages. "The idea is empowering people to take themselves out of poverty," Matthew Jones said. "It's something we are very passionate about," Kate Jones said. The store also offers a line of products made by women in the United States. 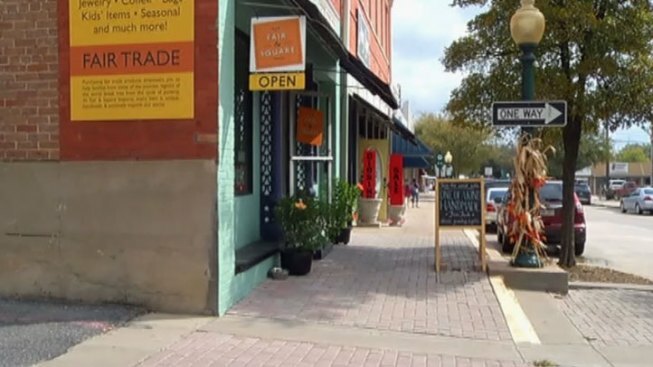 In the meantime, former Austin resident and current McKinney shopper Sydney McGee said she has bought into the idea of Fair Trade -- as opportunity, not charity. "You're not only benefiting somebody that can use the money you paid for it, you're benefiting because you're taking home something that's global," she said. Fair and Square Imports has been open about a month. It is located just outside of the McKinney Square.